The location of our focus group center is convenient and accessible to one of Lexington's most popular shopping and dining areas. 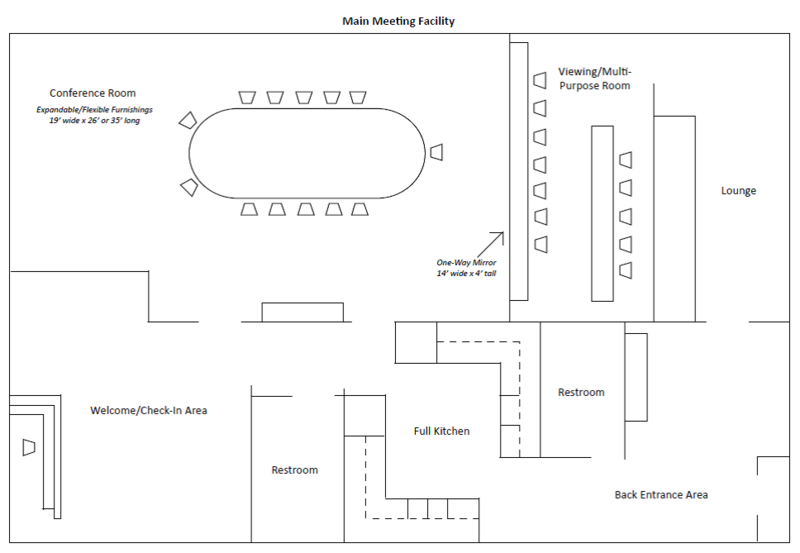 There is plenty of free parking, and our one-story building has handicap accessibility and a separate client entrance. 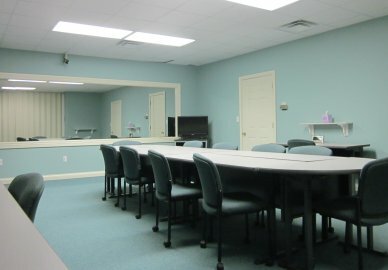 Our focus group room has a large conference table with seating for up to 20, display ledges and a large corkboard for tacking. Our client viewing room has seating for 8-10, plenty of space for laptops on the desktop area and a stocked refrigerator full of beverages. 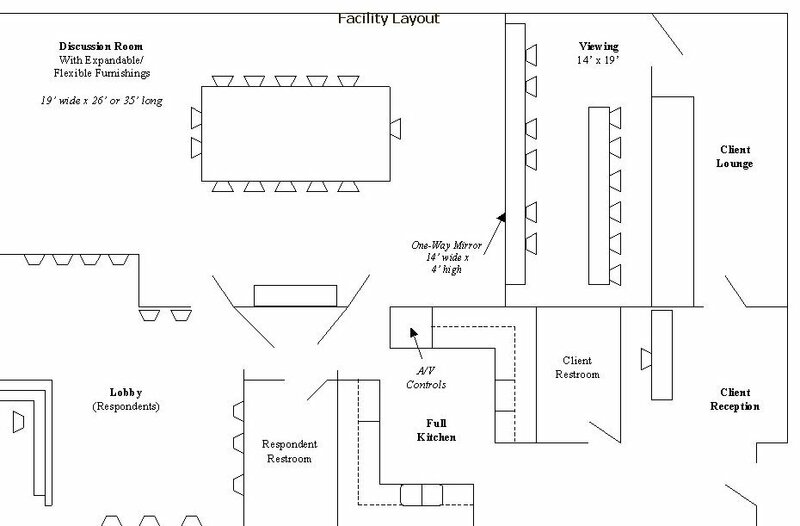 Just off the viewing room is a private lounge with plenty of counter space for food service, a television monitor, and comfortable seating area. We have an on-site professional staff who are knowledgeable, courteous, and focused on ensuring the success of your project. We are an authorized FocusVision facility. Note: We know it may sound crazy, but if you're planning groups in Lexington during basketball season (typically October through March), please consider that you will be in The Big Blue Nation, and that group attendance will be affected by scheduled games. Click here to view the University of Kentucky basketball schedule. Qualitative research requires a deep understanding of client needs and expectations. Our in-house recruiters are Human Research Subject Protection certified, and are carefully trained using MRA guidelines. All recruiters are individually briefed for each project to gain comprehension of the project objective and the specific respondent characteristics our clients are seeking. We operate a ten-line telephone center and maintain an in-house database of consumer respondents. Our recruiting services consistently receive high ratings by clients who return our client satisfaction survey. Clients are updated daily by our project team with comprehensive profiles in order to monitor how quotas are filling as the recruiting progresses. In addition, we offer screener development, moderators, analysis and report-writing. Our custom research services include product and website usability testing, strategic marketing plans, marketing & merchandising services, and regional and national project management.